Every holiday season, there’s one request from our listeners that rises above the rest — we want to buy merch! This year, we’re excited to announce our inaugural holiday pop-up shop: an online store filled with limited run t-shirts and stickers. This is our first foray into selling merch, and we hope you love it. Click the button below to start shopping! We hope to make more merch for you all in the future. 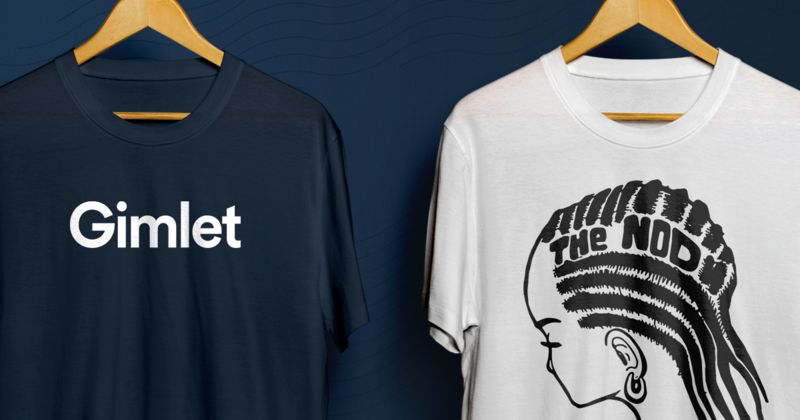 And remember, a Gimlet Tee or sticker set makes a great gift for the podcast lover in your life!